Truck accidents can be among the most serious types of collisions—and the most deadly. The formidable weight and size of a big rig can crush smaller passenger vehicles and inflict catastrophic injuries. 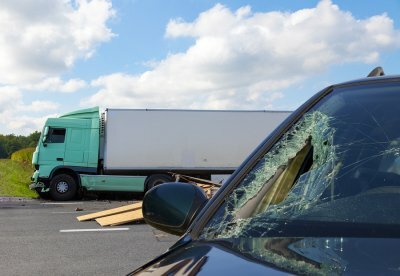 If you’re fortunate enough to survive a truck accident, there are some steps you need to take right away. Later on, you can contact an accident lawyer in Riverside to discuss the legal issues that arise from a crash. Your accident attorney may file an accident lawsuit on your behalf against the truck driver, his or her employer, or other defendants. The catastrophic injuries that can result from a trucking accident can lead to the loss of consciousness. However, if you are conscious and able to move, you should reach for your cellphone right away and call 911. Let the emergency dispatcher know that you’ve been involved in a big rig accident. Let the dispatcher know if you appear to be seriously hurt. If you’re able to do so, check on the condition of your passengers. If you’re able to move around, it can be very helpful for your accident lawsuit to gather physical evidence at the crash site. Take pictures of the scene, including the damage to the vehicles, skid marks on the road, and traffic signs and signals. Write down the names and contact information of any witnesses in the area. When the police arrive and take your statement, be sure to ask how you can obtain a copy of the police report. Before you call an accident lawyer after the crash, you should obtain medical attention right away. During the subsequent weeks and months, keep careful records of your medical problems, treatments, and expenses.